Artist: Shadow Dancer Title: Strut Cat Nr. : GN072 Format: digital only Release Date: 8th of September Tracklist: 1. Original Mix 2. Mark Broom's Loop Remix 3. Mark Broom's D Remix 4. Deadwalkman Remix Support by: Sven Väth, Dave Clarke, Simian Mobile Disco, Truncate, Gary Beck, Inigo Kennedy, Thomas Schumacher, Funk D’Void, Dubfire, Unbalance, Ritzi Lee, Chris Colburn, Mamiko Motto, David Carretta, Florian Meindl, Phon.O, Miss Sunshine, S-File, Turbo Turbo, Chicago Loop, The Japanese Popstars, Dave Tarrida, Al Ferox, Sinden, Mumbai Science, Joachim Garraud, Dr. Motte, Mixhell, Louisahhh, Sharooz, Jensen Interceptor, Les Petits Pilous, Photonz, Brain Cheetham, Coco Cole, Don Rimini, Crookers… Shadow Dancer head straight to the dancefloor with ‘Strut’, a pulsating techno tune with some truly heavy throbbing bass. Deadwalkman (ACYB), the best thing to come out of Colombia since James Rodriguez, turns in a booming electro remix with a rude elastic bassline. But we haven’t finished yet! UK techno legend Mark Broom delivers not one but two different techno-flavoured interpretations: his ‘Loop’ mix is a punchy heavy dub of the original and his ‘D’ mix is a radical overhaul with some emotive Detroit pads. We’d have been happy with one remix from Mark, so to have two amazing remixes just makes us even more excited about this release! 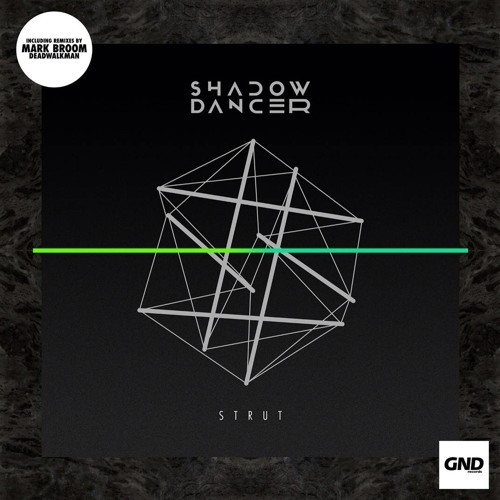 ’Strut’ is taken from Shadow Dancer’s forthcoming album ‘Brothers In Arps’, which will be released on GND Records in September 2014. Great release! The original mix works for me.